This wire stripper comes with an adjustable clamp for different cable diameters, a cable puncher and can strip twisted-pair data cables and wires and terminates wires into 110 blocks. 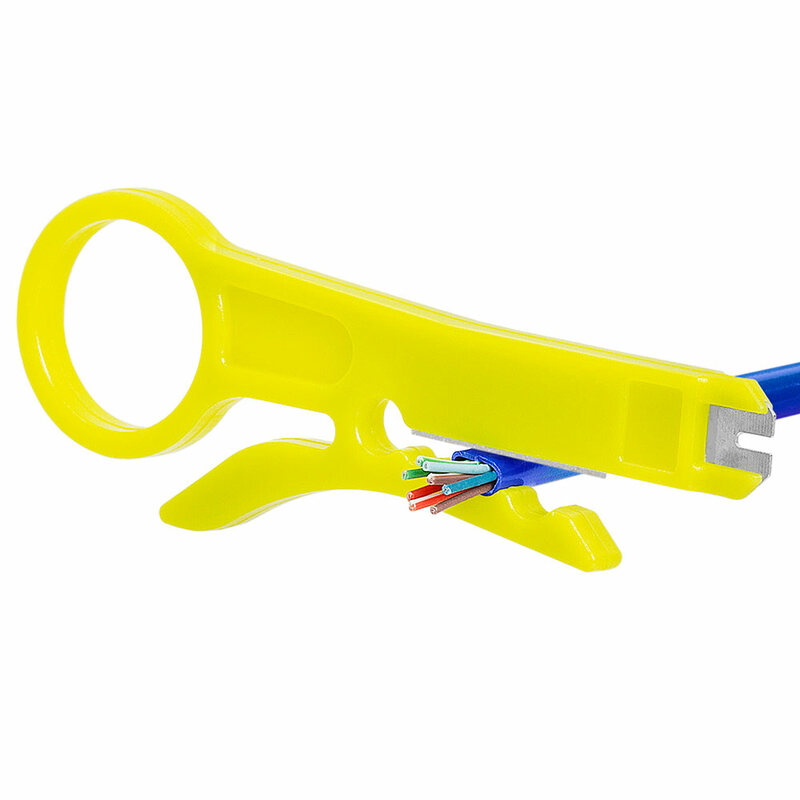 The adjustable clamp gives you a variety of wires you can strip ranging from CAT 5, to CAT 6, Alarm and Speaker wires. 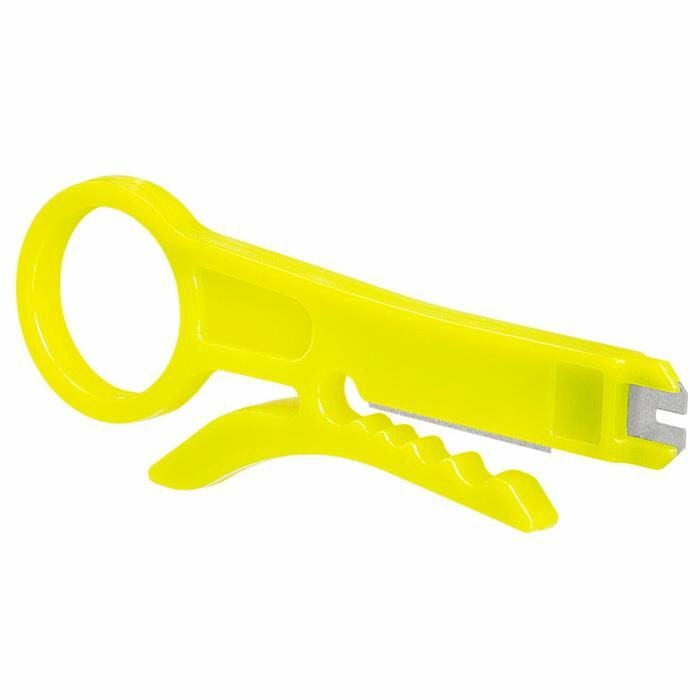 That along with the easy finger grip and safe to use tool give you the best result when punching down wires and modular connector. 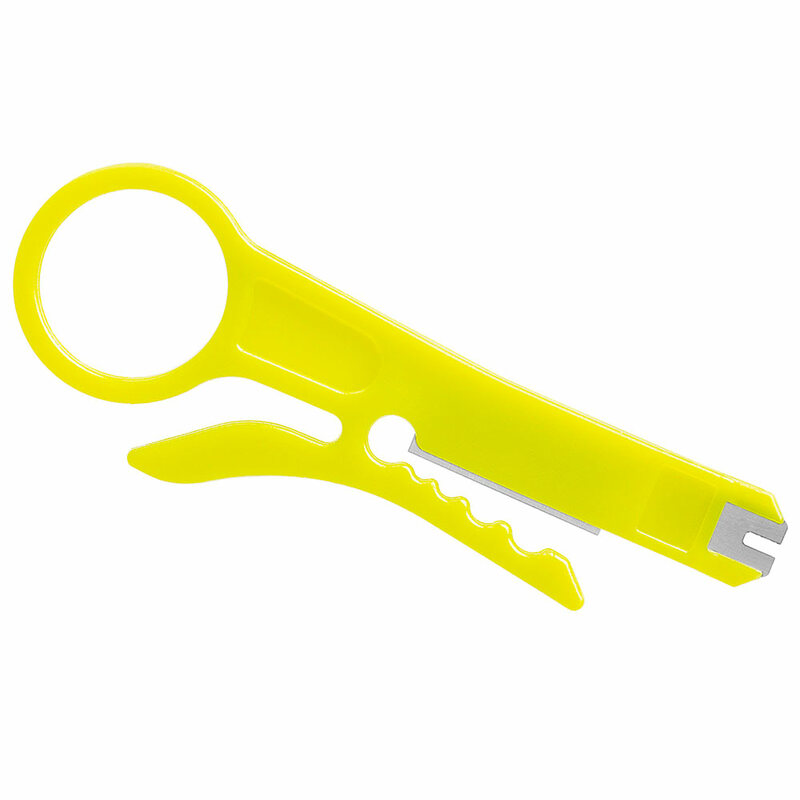 To use the wire cutter section of the tool, simply slide in the wire where you want it to be stripped in between the adjustable clamp and blade and twist the tool around the cable and pull. 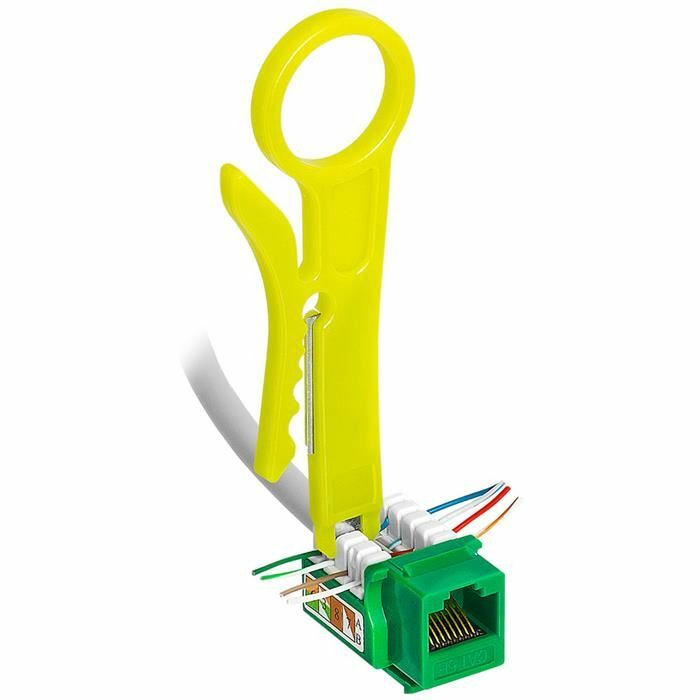 To use the punch down tool, position a wire into a slotted post on a punching block, and simply press down on top of the wire over the post.